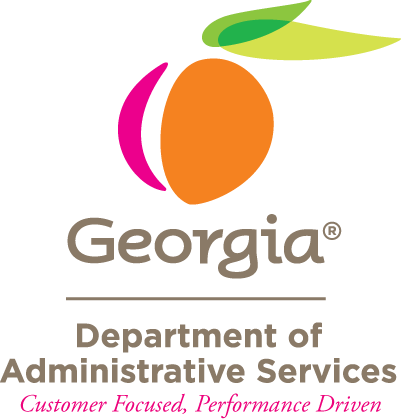 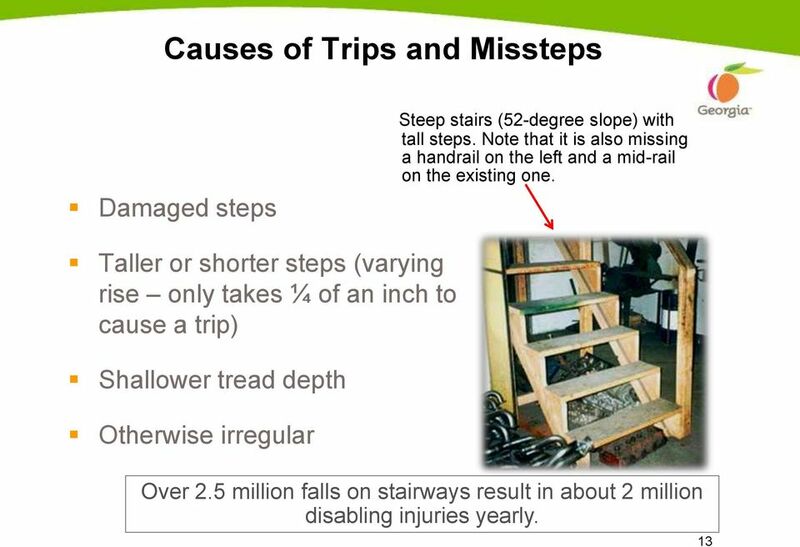 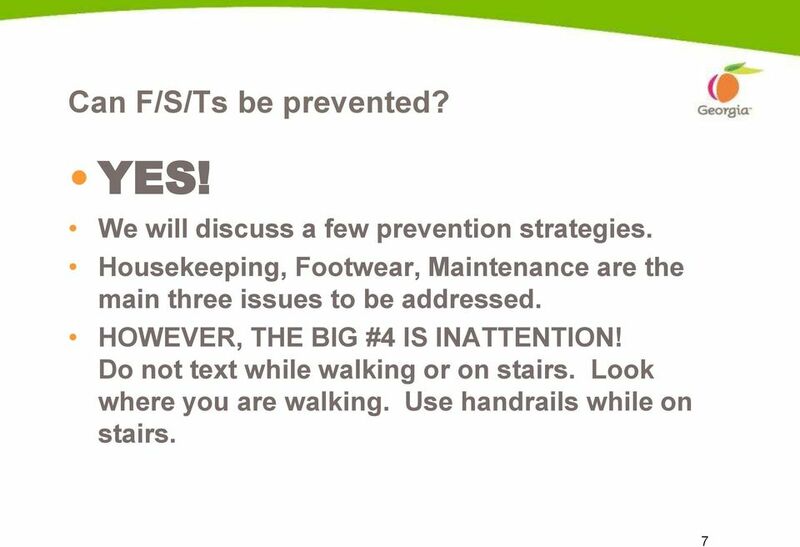 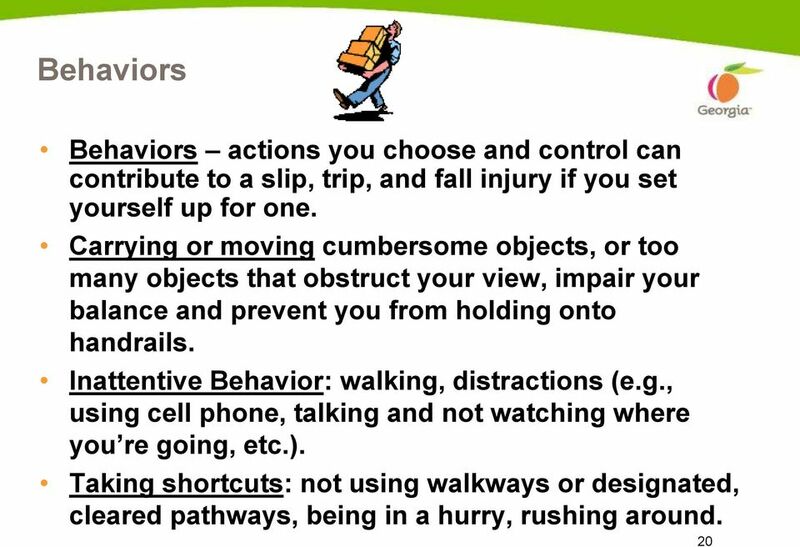 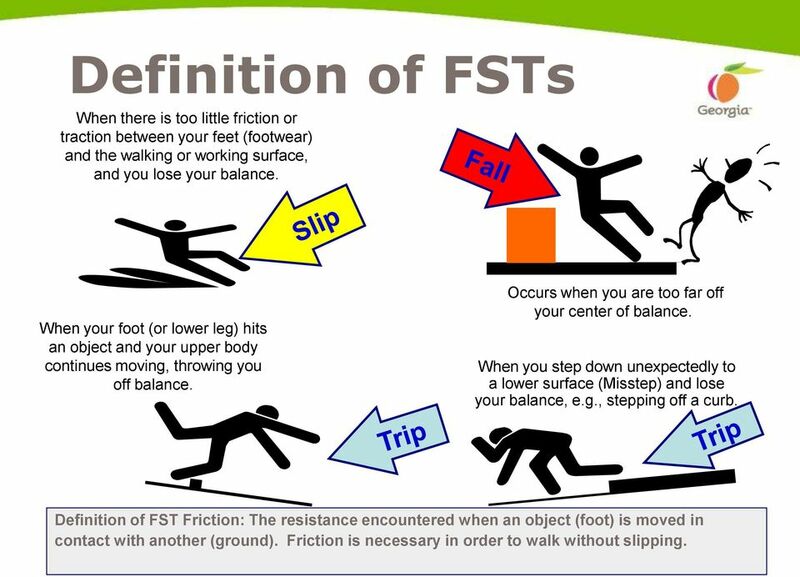 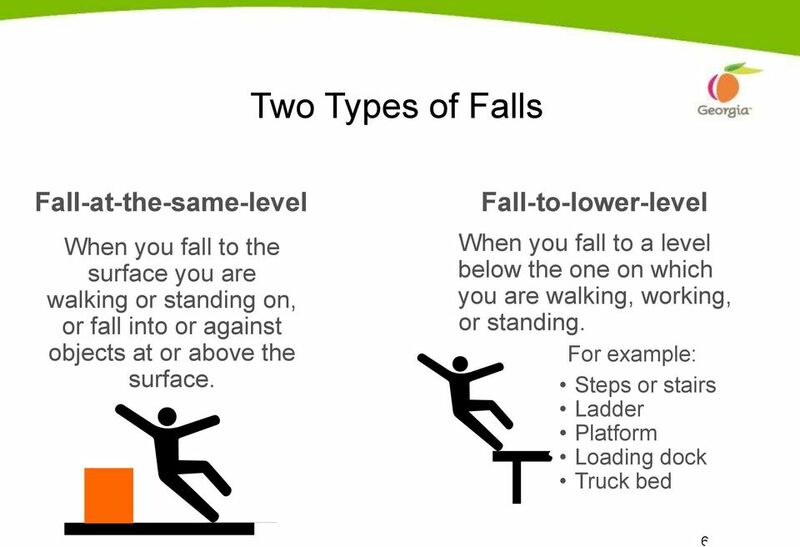 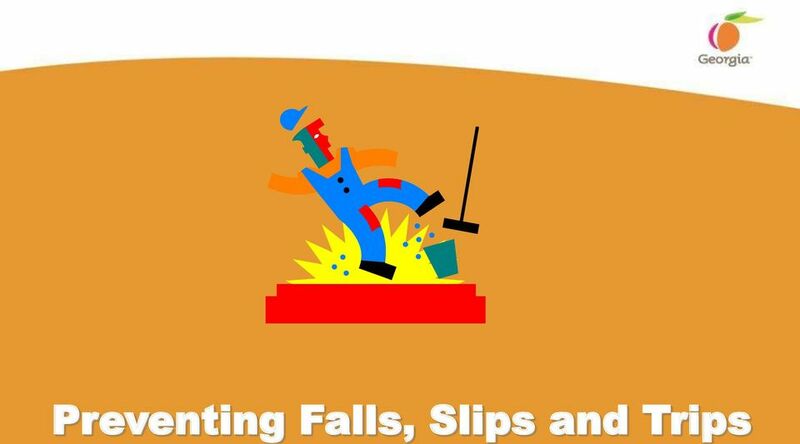 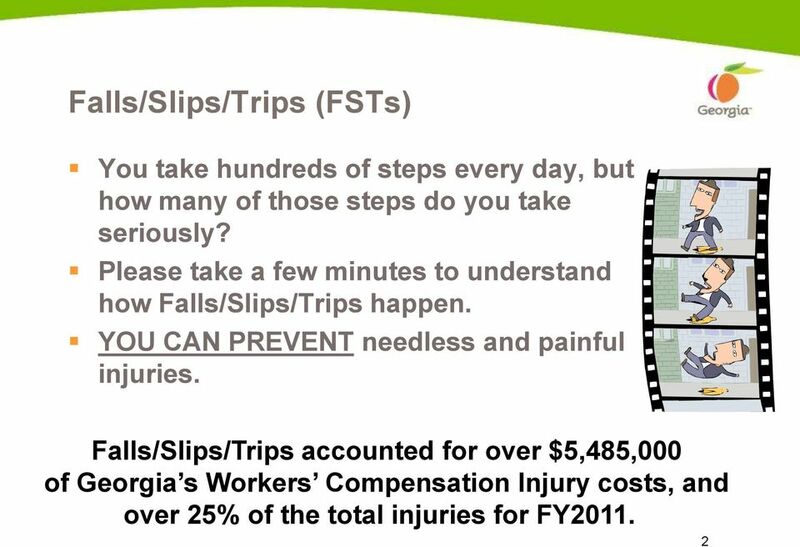 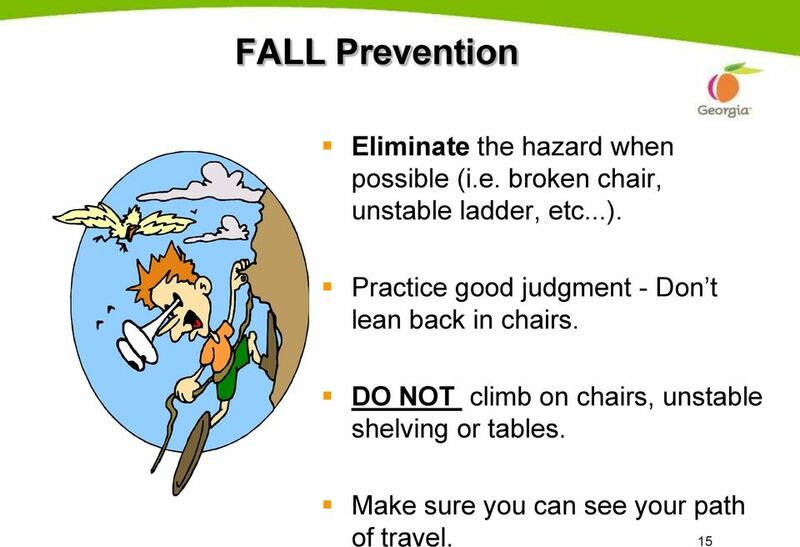 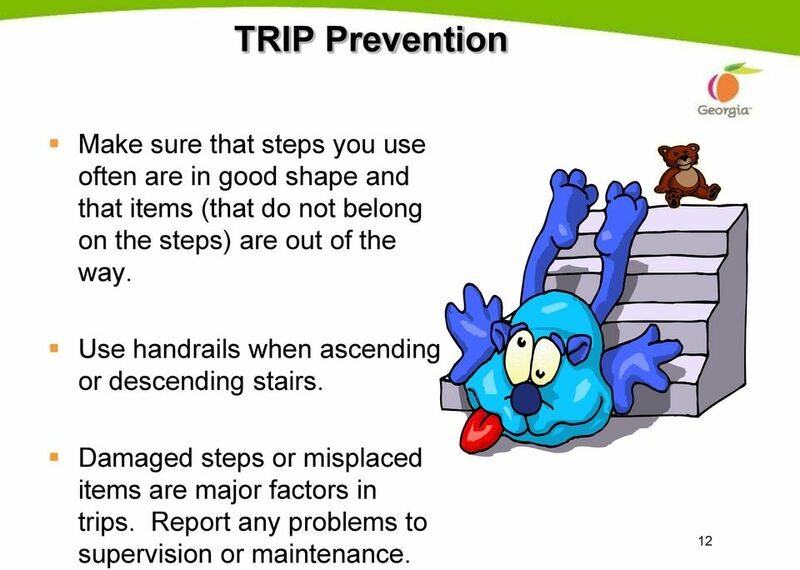 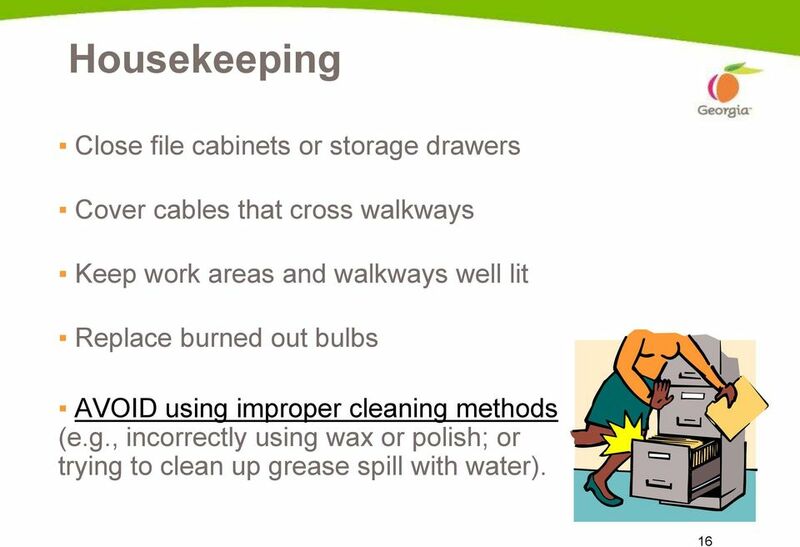 Download "Preventing Falls, Slips and Trips"
6 Two Types of Falls Fall-at-the-same-level When you fall to the surface you are walking or standing on, or fall into or against objects at or above the surface. 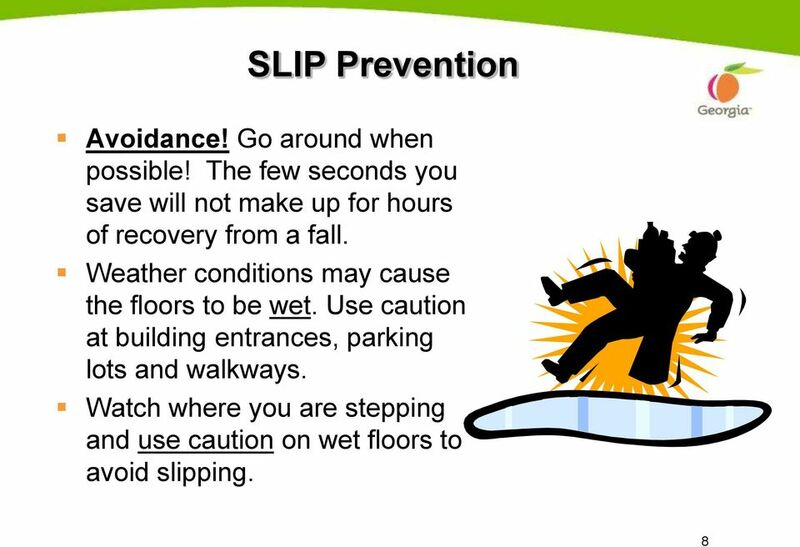 Slip-resistant strips on steps Fall-to-lower-level When you fall to a level below the one on which you are walking, working, or standing. 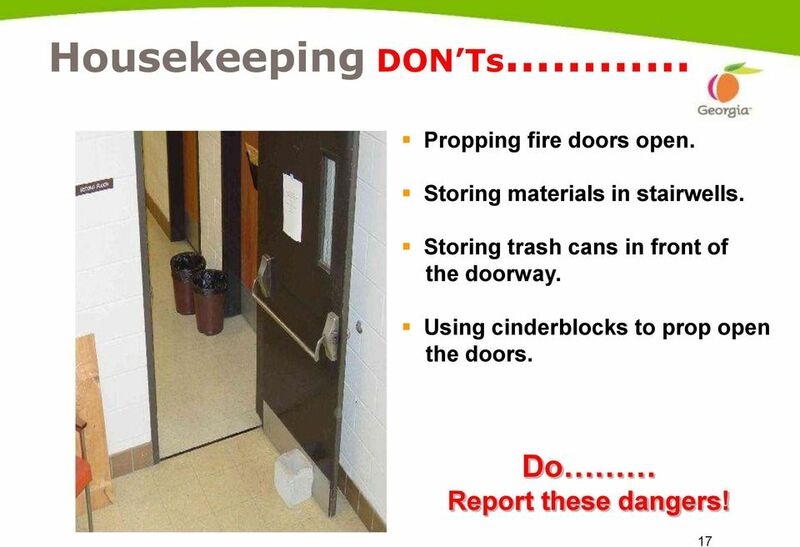 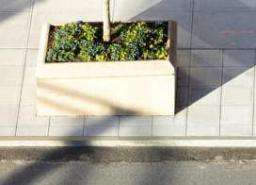 For example: Steps or stairs Ladder Platform Loading dock Skid-resistant coating on Truck bed ramp. 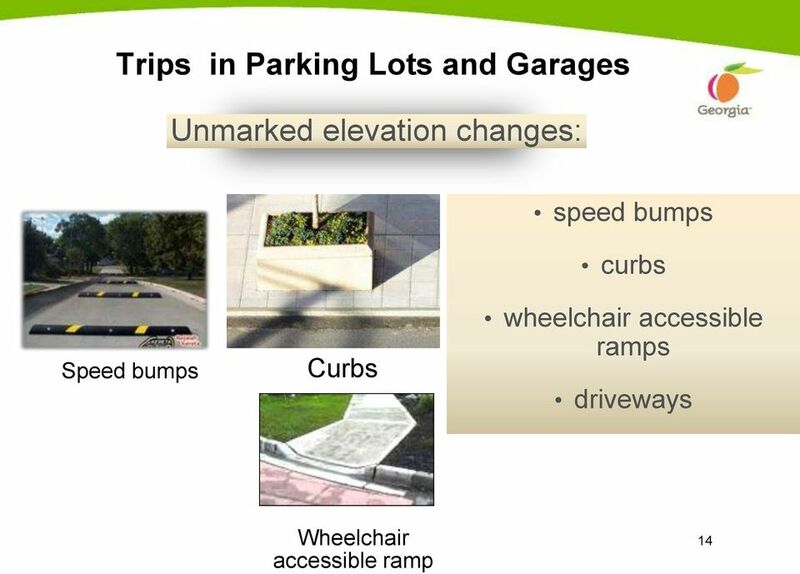 Note highlighted edges for better visibility 6 to prevent walking off ramp and falling. 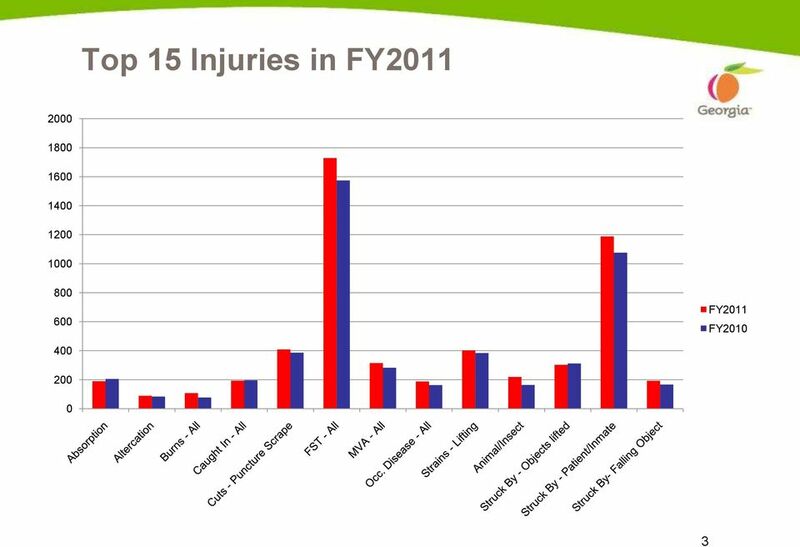 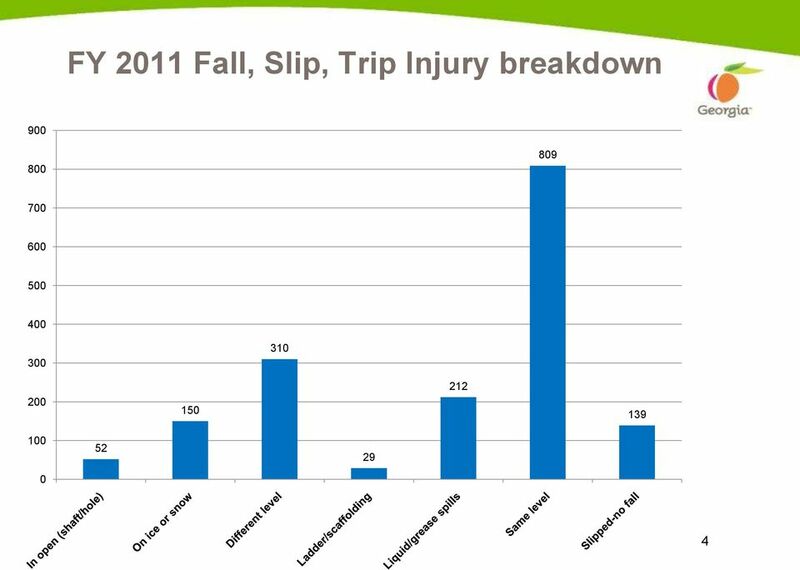 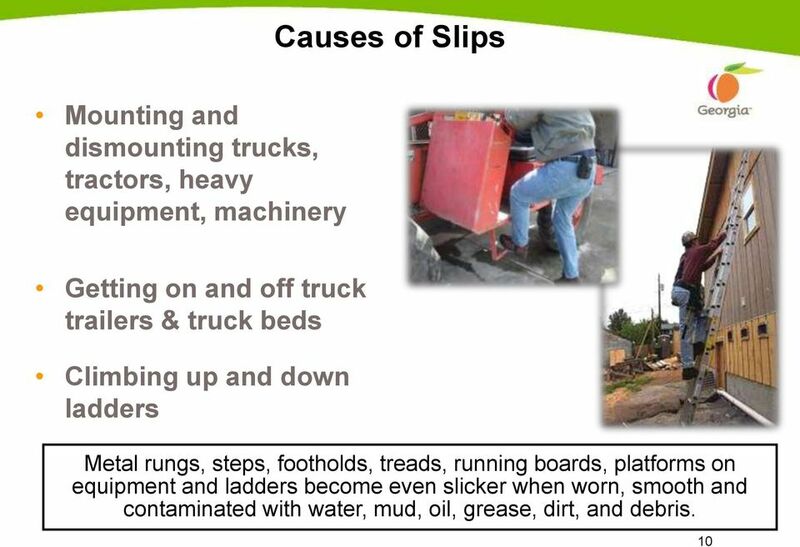 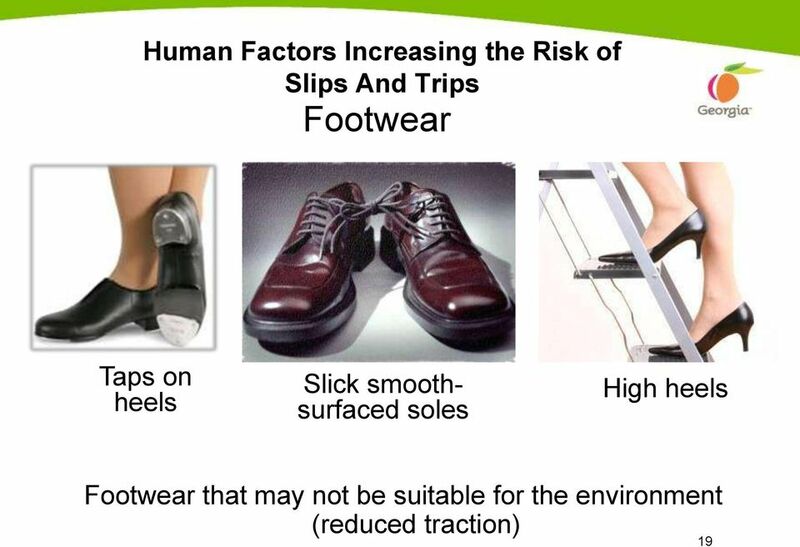 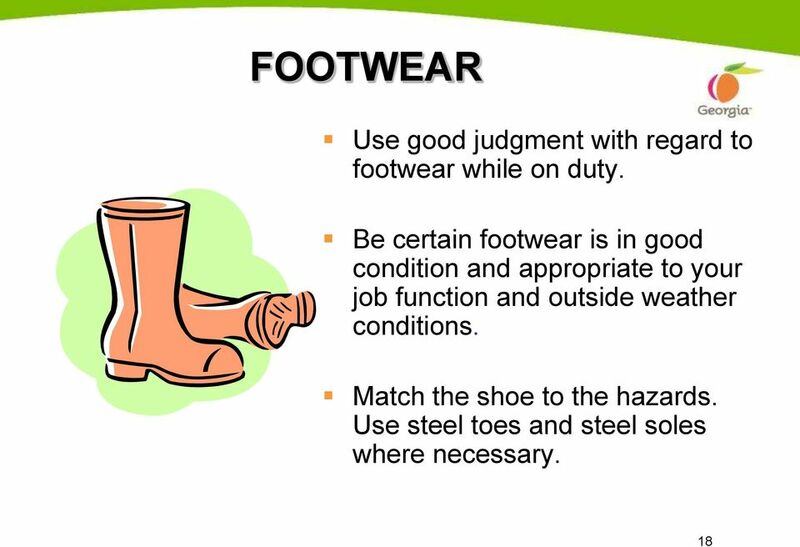 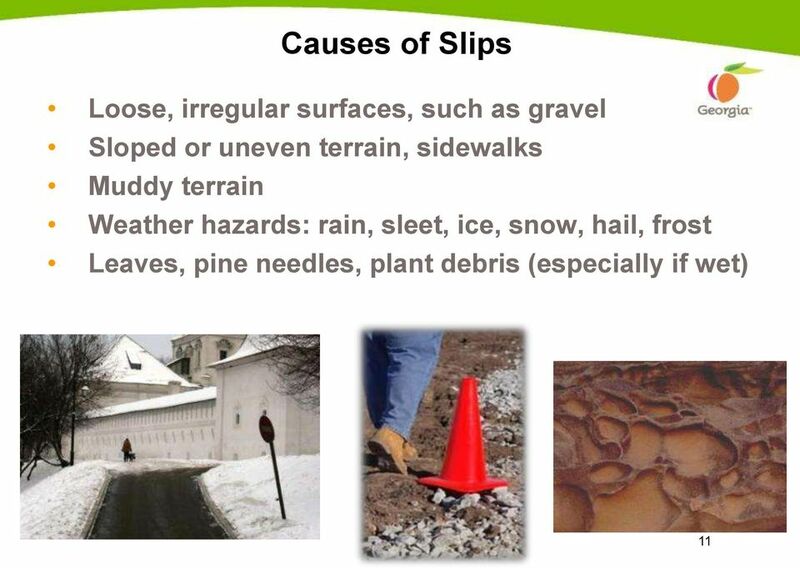 9 Causes of Slips Ramps and gang planks without skid/slip-resistant surfaces Metal surfaces, such as duckboards and dock plates, platforms, construction plates or covers on sidewalks and roads Metal has a lower force of friction/traction and can be more slippery than many other materials. 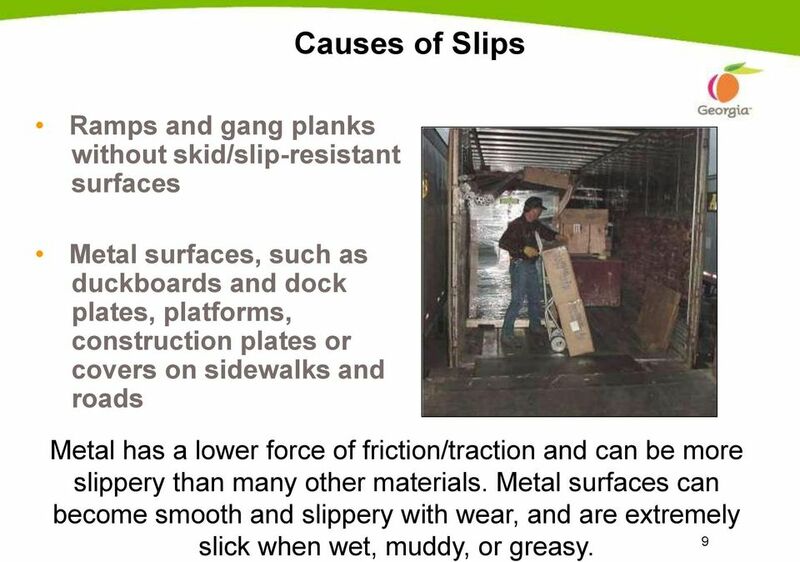 Metal surfaces can become smooth and slippery with wear, and are extremely 9 slick when wet, muddy, or greasy.